Apple recently introduced its latest line of flagship phones and a new series 3 watch. 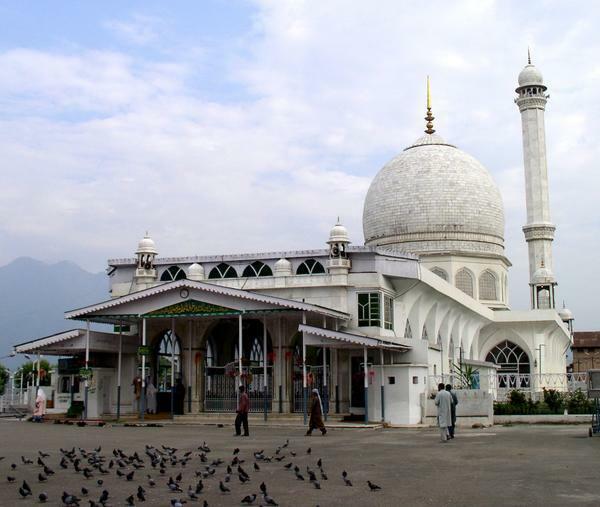 However, the more interesting thing for Kashmiris is the inclusion of a glimpse of Dargah Hazratbal in the new advert. The creative brains behind Apple’s marketing have included Dargah Hazratbal in the ad which was shown at the Apple launch event. It starts off with a man shuffling music on the new Apple watch and skateboarding through various scenes. Hazratbal and the pigeons in the courtyard can be seen on the television in a vintage themed room. This is the exact angle which is visible in the advert. Apple’s new series 3 Apple Watch shall have cellular connectivity and would be able to stream 40 million+ songs from Apple music. That’s what the ad is about.